While there were two-cylinders aplenty and some lovely foreign tractors from Argentina I have to say, I was loving this very cool whatever it was in Waterloo, Illinois this past Sunday. The show is always fun and a kick off the summer type of annual experience. Familiar faces and warm sun made me smile. Spent the day with the hubby tractor browsing then found some yard art and cool fencing (that my son asked what is that ugly thing, how dare he!) at a flea market. Summer is here and with it time to seek out the new and different! Next Post: Graham Bradley’s are coming to the Gilmore Car Museum! You never know what will show up at a tractor show! 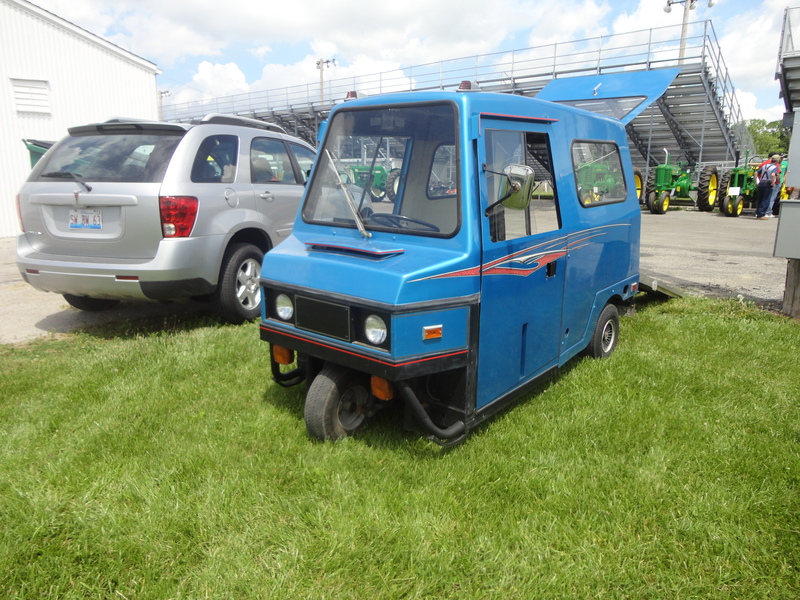 That makes them fun.That’s a Cushman Truckster, by the way.